Here is award-winning drama that peers into the nature of human conflict. 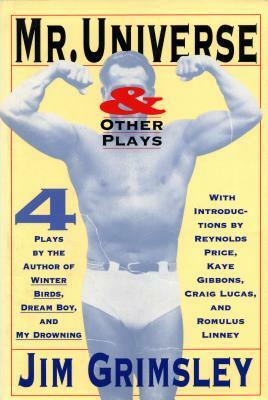 From the gritty streets of New Orleans, where a muscle man is rescued by two drag queens, to a prison cell, where Jesus is interrogated by his ambitious disciple, Grimsley’s plays ask what happens when divergent worlds converge. Each play challenges us to view otherwise opposing worlds and characters not in terms of how they contrast but in terms of what they have in common. Collected together, they form a powerful body of work by a talented and important writer--one who was awarded the Bryan Prize for Drama by the Fellowship of Southern Writers and was named Newsday’s George Oppenheimer’s Best New American Playwright. Jim Grimsley is the author of four previous novels, among them Winter Birds, a finalist for the PEN/Hemingway Award; Dream Boy, winner of the GLBTF Book Award for literature; My Drowning, a Lila-Wallace-Reader's Digest Writer's Award winner; and Comfort and Joy. He lives in Atlanta and teaches at Emory University.